Crown Prince of Abu Dhabi and Deputy Supreme Commander of the UAE Armed Forces Shaikh Mohammad Bin Zayed Al Nahyan, has ordered the construction of the Abrahamic Family House on Saadiyat Island in Abu Dhabi. The move is in commemoration of the historic visit by Pope Francis and Dr. Ahmad Al Tayeb, Grand Imam of Al Azhar, which culminated with the signing of the Abu Dhabi Declaration that heralds a new era in the history of humanity. Mohamed bin Zayed orders the construction of the Abrahamic Family House in Abu Dhabi to commemorate the historic visit of Pope Francis and Grand Imam Ahmad Al Tayyeb, and to reflect the peaceful coexistence of different communities in the UAE. Inspired by the historic document, Shaikh Mohammad issued instructions to allocate a land plot for the construction of the Abrahamic Family House, a move that reflects the peaceful coexistence of different communities in the UAE. The unique religious landmark symbolises the state of peaceful coexistence and human fraternity experienced by all communities living in the UAE, regardless of their nationalities, beliefs and religions. 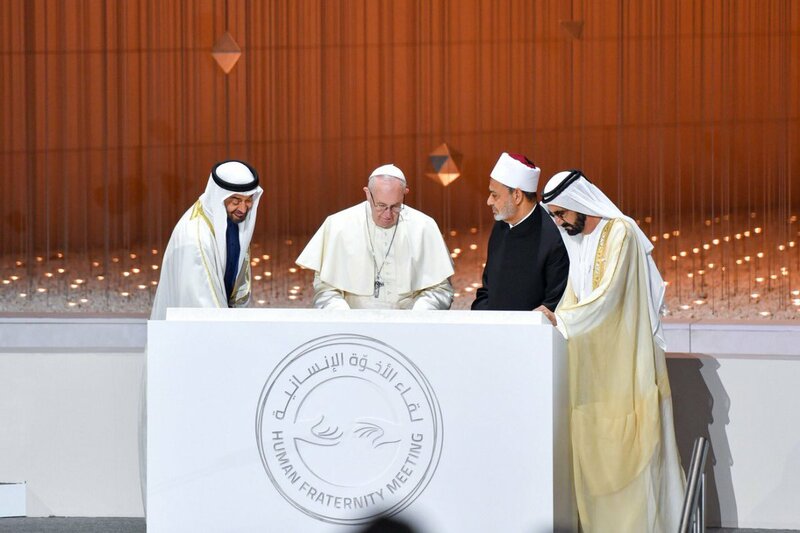 Shaikh Mohammad, inspired by the historic interfaith document that heralds a new era of humanity, where communities of various faiths and sects can converge. The new edifice will be one of the momentous landmarks in the country and the world.